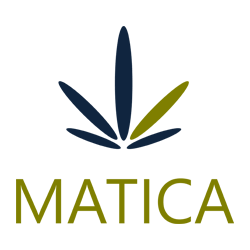 May 1, 2018 – Toronto, Ontario – Matica Enterprises Inc. (MMJ – CSE) (39N – Frankfurt) (MQPXF – OTC) (“Matica” or the “Company”) is very pleased to announce that the Company has SEDAR filed the Audited Financial Statements and corresponding Management Discussion and Analysis for the year ended December 31, 2017. The Marketable Securities value of $1,050,000 represents the 525,000 shares received as a third party settlement of the $700,000 claimed from THC Dispensaries Canada Inc. This is based upon third party SEDAR filings of financings closed in December 2017 at $2.00 per share. The Marketable Securities value has increased to $1,575,000 at March 31, 2018 based upon SEDAR filings of a Q1 financing closed at $3.00 per share. We expect that this value will further increase as at June 30, 2018 based upon notification of a financing currently underway at $5.00 per share. The Company also expects that most of the remaining 807,568 broker warrants exercisable at $0.05 and the 24,711,500 warrants exercisable at $0.10 will be exercised for proceeds of $2,511,528 prior to their January 10, 2019 expiry date.